In the gritty, futuristic city of Neo-Saitama, the streets run slick with acid rain and blood. Here, an army of cybernetics-clad ninjas runs amok under the menacing rule of the Soukai Syndicate. As incessant strife wrought by a ninja turf war takes the lives of all citizens who end up in the crossfire, one can only hope to end the day without getting a suriken to the skull. But in these dark, tragic times, a spirit of vengeance rises to kill all wicked Ninja who terrorize Neo-Saitama. 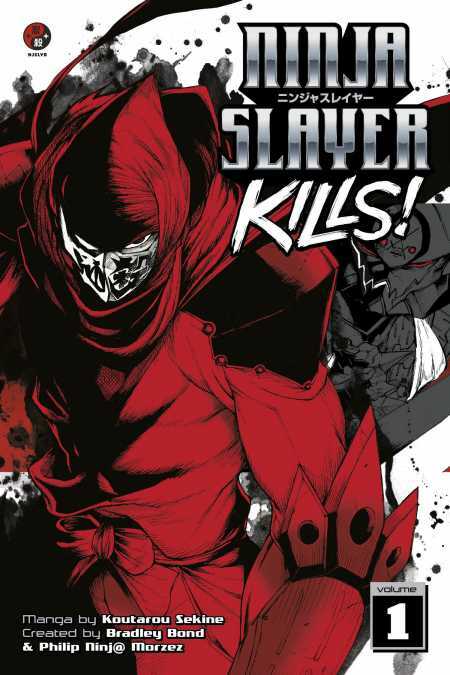 This crimson avenger is Ninja Slayer, and he will not rest until all Ninja have been slaughtered at his hands.